If you have been following me for the past few months, then you are probably aware of my growing re-interest in wearing wash-n-gos. 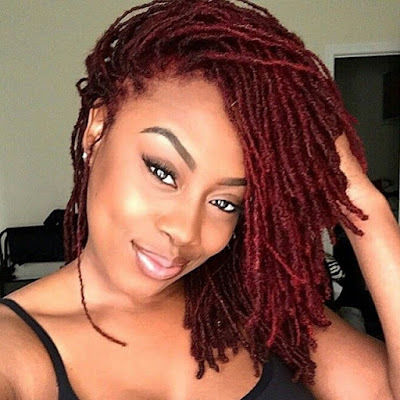 Up until recently, I took the stance that most type 4 naturals (especially 4b/4c) take on such styles .... "Wash-n-gos on this hair type = asking for trouble." Well, that was until I tried Cynthiarf's method. 1. If you have fine strands, then you might want to stay away from the wash-n-go. Majority of my hair is medium, the crown is coarse, and the back is fine. When it comes to the wash-n-go, the back (the fine hair) tangles and breaks more easily so I have to be more patient and meticulous in that section. If my whole head were fine, I would more than likely not be wearing wash-n-gos as much as I am now. 2. Co-wash (rather than shampoo wash) for your wash-n-go. This lesson is almost a given but stands stating. Cynthiarf's regimen calls for shampoo-ing once a week when wearing the wash-n-go daily, and I have found success with that routine as well. The remainder of the week calls for conditioner washes or water rinses followed up with conditioner. Why conditioner? Because it smooths the strands, restores moisture, and makes finger-combing easier. 3. Finger-comb thoroughly and daily. 4. 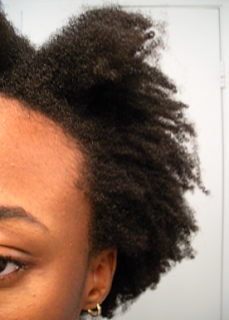 Do not manipulate your wash-n-go. This step is also crucial as it reduces the possibility of tangle formation. Once your wash-n-go is complete, do not disturb the strands via twirling with your fingers, rubbing with a towel, combing, or any other manipulation. 5. Use the right conditioner. Not every conditioner is made for a wash-n-go. I find the most success with Tresemme, but you may find success with another brand/type. Do check out Cynthiarf's video for more details on what to look for in a wash-n-go conditioner. 6. If you have time, rake through with gel. Raking through your wash-n-go with gel will help your coils to clump a little and tangle less. This step is not necessary, and I have worn many of my wash-n-gos without doing it. However, if you have an extra 10-20 minutes and want a little more security, go for it. I agree about the fine strands. I have fine strands ans used to wear wash-n-gos when I was loose. Detangling was a nightmare. I wore them mainly out of laziness, but if I had to do it again I would bypass the style entirely. Too much damage for me. No matter what, if I don't use gel for my wash and go my hair gets horribly tangled. Using the gel freezes my strands in place and keeps the hair from tangling on itself. Hmm...I have fine strands and have had no problem using cynthia's method. However I also have a mostly-regular curl pattern. They're VERY small (I definitely consider myself a 4b) but they do clump together if I do the wash and go right. I don't know if that makes a difference...One thing I wanted to really say AMEN to is the instruction to NOT manipulate the wash and go after it's dry. This is VERY important! I only get knots and tangles if I mess with it when it's dry. Loo, how do you prepare your hair at night for a daily wash n go? Hi cb! I really don't do any preps (except for on shampoo days). I just make sure I sleep in a satin bonnet or on a satin pillowcase. Sometimes, I will immediately follow up my wash-n-go by raking through with safflower oil for a little sealing and shine. Before shampoo days, I will apply extra virgin coconut oil (i.e., pre-poo) to my hair the night before. I just pat the oil on as much as I can because I don't want to manipulate my strands and cause tangles/breakage. Then I put on a bonnet, put a towel on my pillow, and sleep like that. Again, that's only before shampoo days (~1x a week). Good point on the curl pattern. My back hair is fine but is a unique pattern. I don't know how to describe. Some parts border 4a/b and some have almost no coil to it (if that makes sense). The latter bunch is what tangles more. I keep experimenting and I've found that I have a hard time going without stretching it with the hair dryer concentrator nozzlr. My hair is almost shoulder length stretched and is dense and takes foreverto dry and shrinks a lot. It tangles more if I don't stretch it a la the Dickey Method.